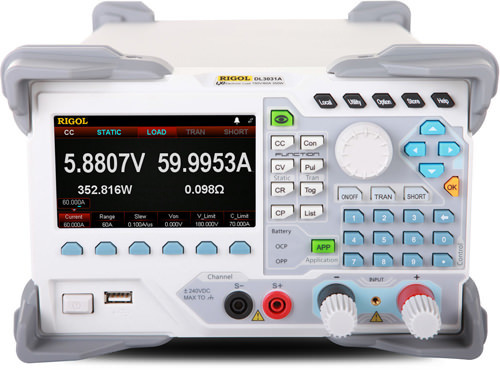 The DL3000 is a cost-effective programmable DC Electronic Loads with performance specifications that rival any instrument in its class. With a user-friendly interface including graphical charting, the DL3000 series provides various interfaces for remote communication to meet your diversified test requirements. Test power systems and batteries with configurable static, transient, and advanced application modes.